The “Miracle Meter” as the reciprocating piston flow meter was once called, was originally designed by Tokheim Corporation over 75 years ago. The flow meter was created to solve the inaccurate measurement of service station deliveries in the nineteen thirties. Since the creation of the three piston flow meter, industry leaders have often relied on the 898 dispenser and its industrial 682 model flow meter for the most precise record of accuracy. 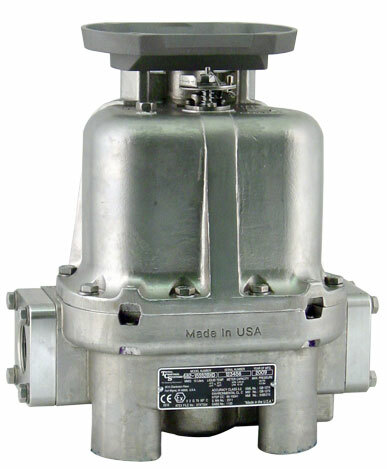 Over the years, the reciprocating piston flow meter has had numerous housing styles to suit various industry applications. 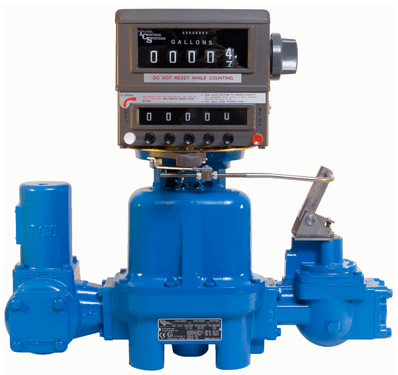 Since purchasing the rights to the Piston flow meter from Tokheim Corporation in 1995, Total Control Systems has made significant design changes to improve the flow meters performance and make it smaller, lighter and more reliable for industrial applications. The 682 piston meter is still the only “true” positive displacement flow meter available in the industry. With proven history of performance and reliability, the 682 piston flow meter can still carry the label of the “Miracle Meter”. The 682 series piston flow meter is a true positive displacement flow meter that has an inline design consisting of three (3) reciprocating pistons operating within their respective measuring chambers, where each piston works in a manner similar to an automobile engine. The pistons are fitted to a wobble plate, which has a shaft extending from its upper surface and a valve pivot attached beneath it. The valve pivot drives a sliding valve from piston to piston as a known amount of product flows through each cylinder bore, controlling the sequence of events in a smooth mechanical motion. Total Control Systems is pleased to introduce an economical 304 stainless steel construction for our 682 piston flow meters to maintain the high purity required for the handling of DEF. As one of the ONLY flow meters available today to meet the custody transfer requirements of DEF measurement, we look forward to help drive solutions for cleaner air.